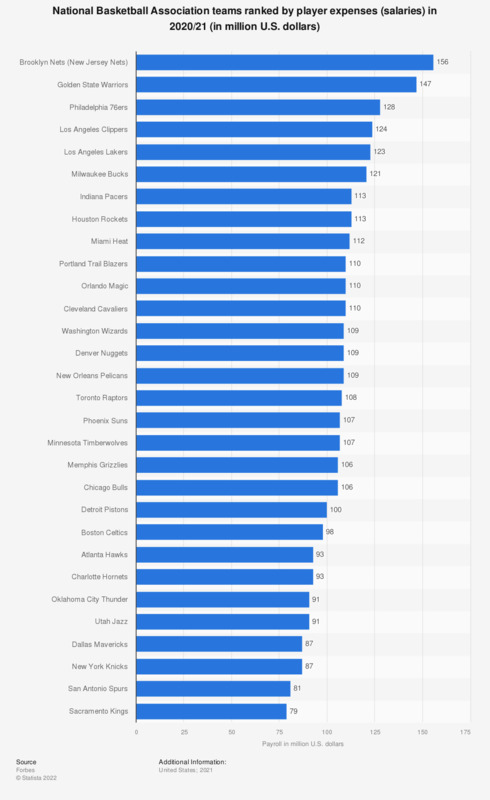 The statistic depicts the player expenses of National Basketball Association teams in the 2017/18 season. The Los Angeles Lakers spent 112 million U.S. dollars on player salaries. * Includes benefits and bonuses.